SPW027193 SCOTLAND (1929). 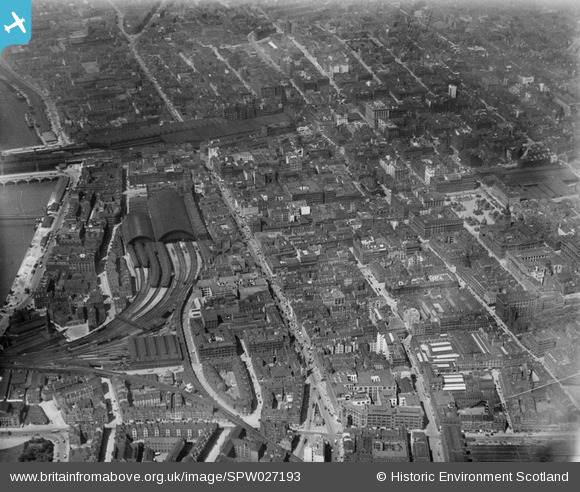 Glasgow, general view, showing St Enoch Station, Argyle Street and George Square. An oblique aerial photograph taken facing west. Title [SPW027193] Glasgow, general view, showing St Enoch Station, Argyle Street and George Square. An oblique aerial photograph taken facing west. The High level station. There is a Glasgow Central Low Level station down below it on the local service line.